These square containers are space-savers. 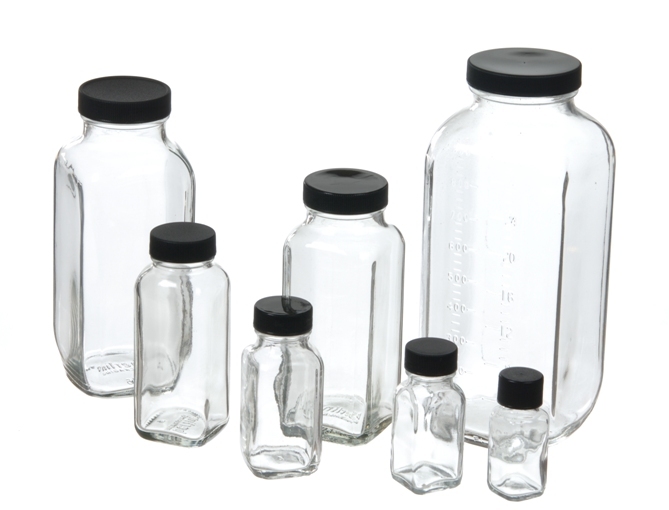 The shape of this bottle features four flat sides, allowing for easier labeling. French Square Bottles have a wide mouth making them eay to fill. All come with black plastic caps. The 32 oz. is graduated. Brush cap bottles are also available in smaller sizes- French Square Bottles with Brush Caps.